Our Green and Gold Baroque Renaissance Gown is a two piece dress ensemble consisting of a bodice and skirt. The bodice and skirt are made of a high quality green baroque brocade fabric with an inner panel of gold brocade fabric. The bodice is fully lined. This lovely gown is shown with a hoop skirt. 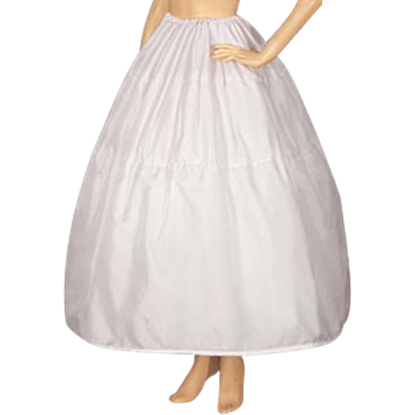 The hoop skirt is not included but can be purchased separately. We highly recommend wearing a hoop skirt with this gown to give the dress a flattering shape. Green and Gold Baroque Renaissance Gown is great for Medieval Weddings, Renaissance Fairs and Medieval re-enactments. 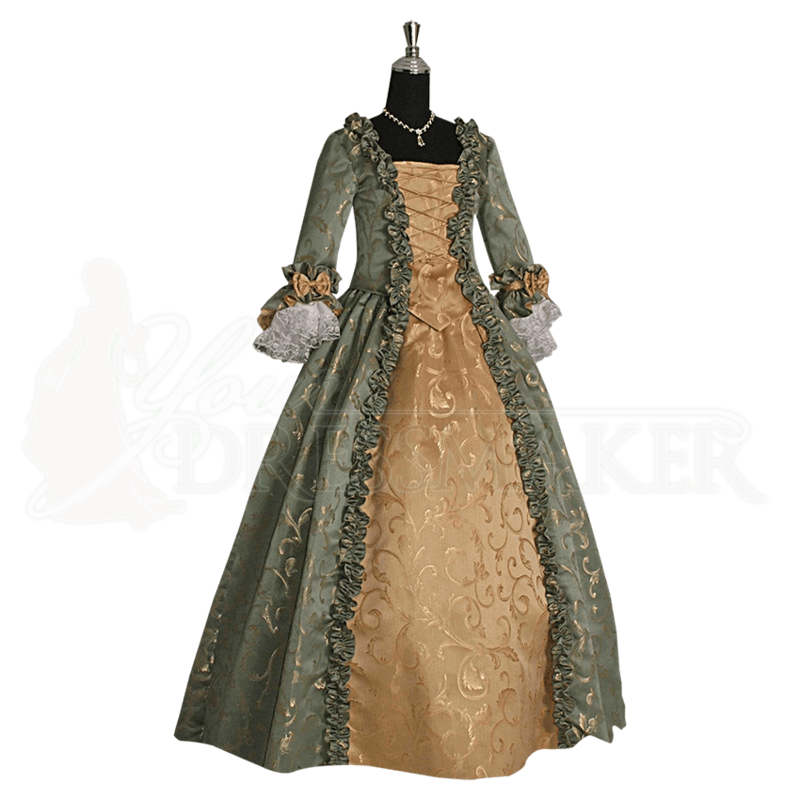 You will feel like you are the Queen when you wear the Green and Gold Baroque Renaissance Gown to your next Renaissance fair or masquerade event.